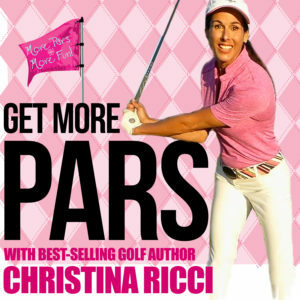 Tip of the Week 27 » Find your Tempo Around the Green – CHRISTINA RICCI MORE PARS! How’s YOUR tempo around the green? …for any shot on the golf course, really. In this Tip of the Week, I help you become aware of your tempo and together, we’ll determine if it is serving you well or whether you need to dial it down a few percentages. So, let’s get to it!